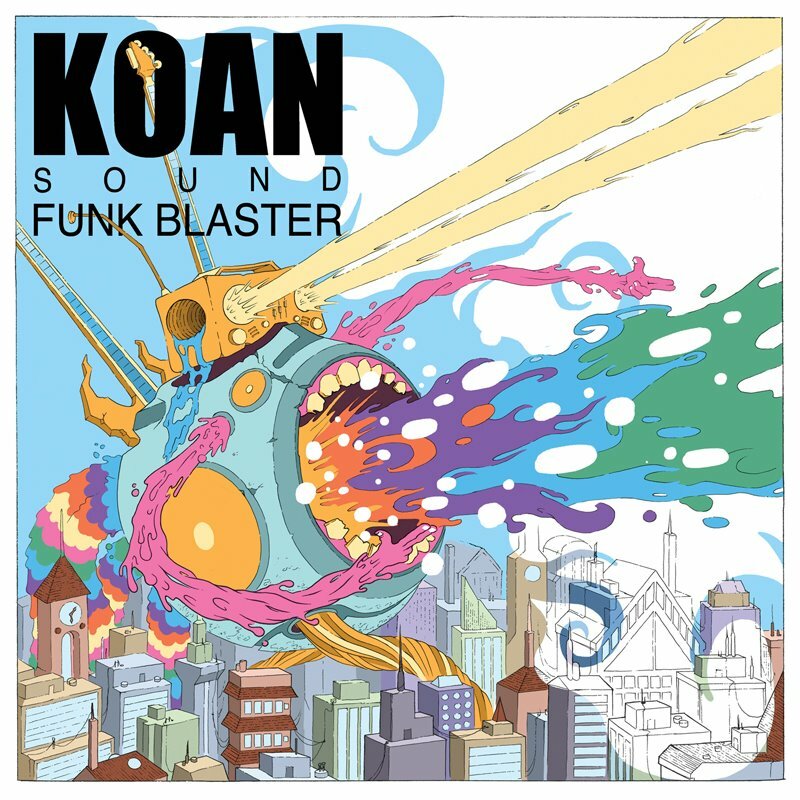 Here’s a sneak preview as to what is to come from Bristol-based KOAN Sound’s brand new ‘Funk Blaster EP’, due for release this Tuesday on Skrillex’s OWSLA record label. Earlier in the year, the guys gave us a stunning remix of Ed Sheeran’s ‘The A Team’, and now they’re back with their unique and genre-bending style. The heavily-produced sound, full of glitchy drum samples and deep basslines is like nothing I’ve heard – KOAN are completely in a league of their own when it comes to this sort of music. Funk-infused dubstep…funkstep. Citing the likes of Noisia and The Prodigy as major influences, it looks as though they are likely to follow in the footsteps of these prestigious acts. With previous tracks having received love from the likes of Rob Swire and Zane Lowe, it doesn’t look like this forthcoming EP is going to be any different. Take a listen to ‘Funk Blaster’ and ‘The Edge’ from it below and TRY to disagree with me. The ‘Funk Blaster EP’ is released on Tuesday 1st November on OWSLA.